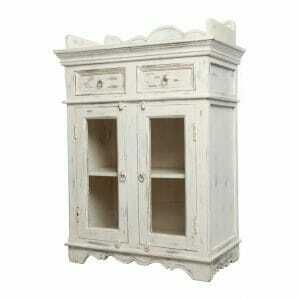 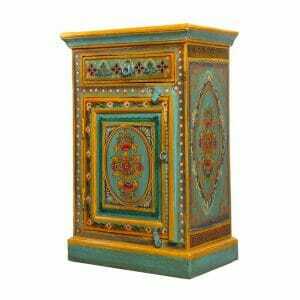 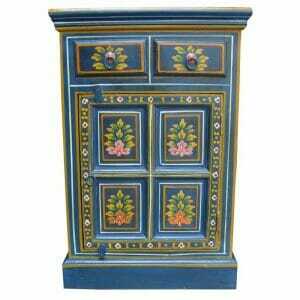 Plain and decorated wood is refurbished, painted, carved and assembled by artisans in unique and eye catching arrangements, for a truly original handmade piece of decorative art. This solid wood trunk is made from reclaimed Indian hardwood salvaged from old boats and ships, as well as antique Indian furniture and other quality, seasoned wood. 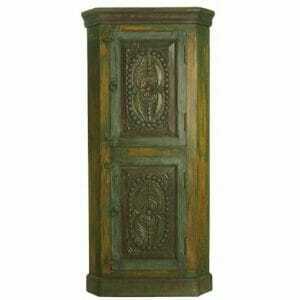 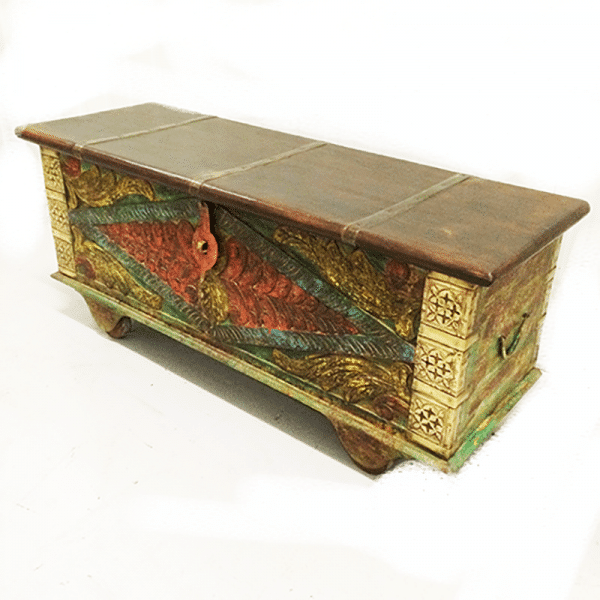 Create a mellow look with this warm-toned wooden trunk, carved to look like antique Indian furniture. 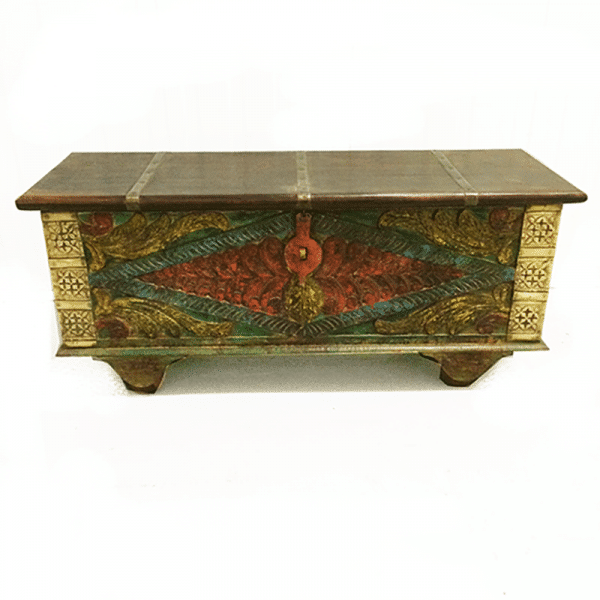 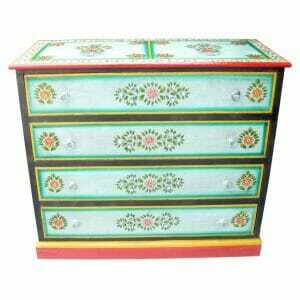 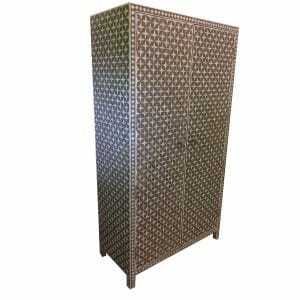 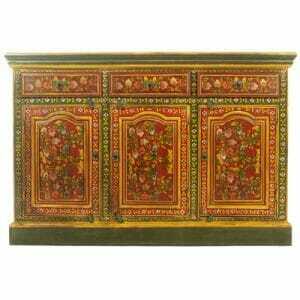 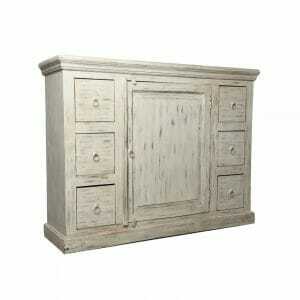 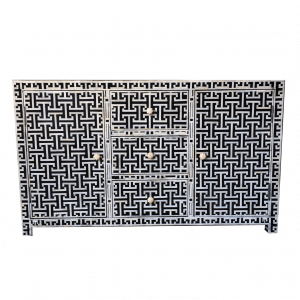 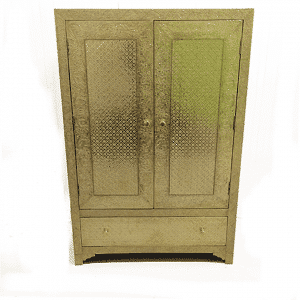 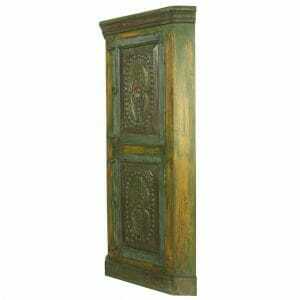 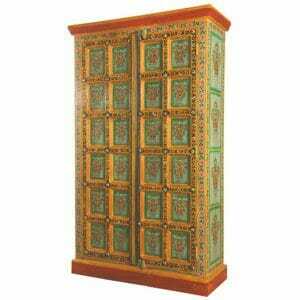 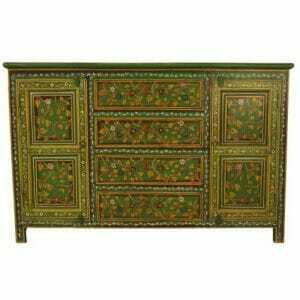 The Indian trunk sits snugly in a living room, bedroom or study and fills a room with the mystery of the orient. 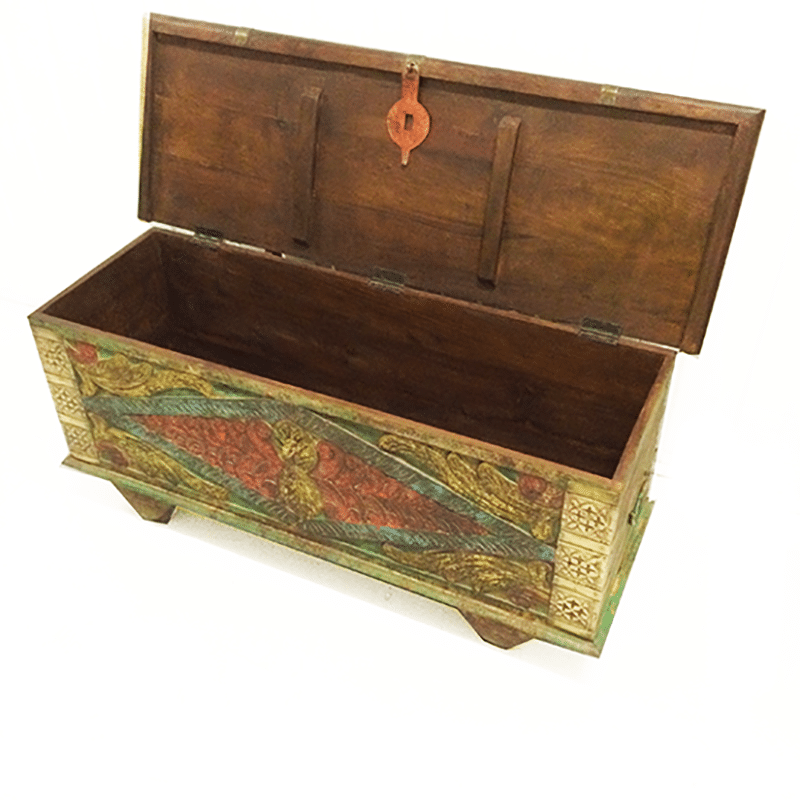 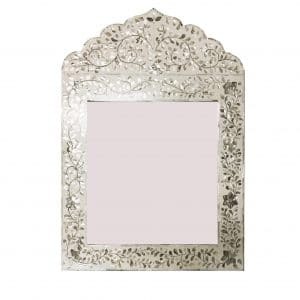 Tuck your valuable artefacts safely out of site in the lockable chest; a perfect way to add definition to your décor and create an intriguing feature piece to liven up a dull room or accentuate an ornate one. 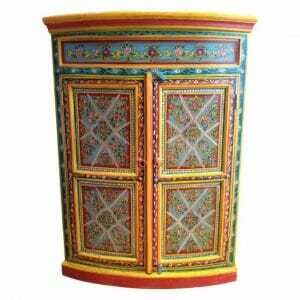 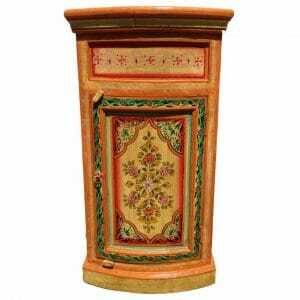 How is Indian painted furniture made? 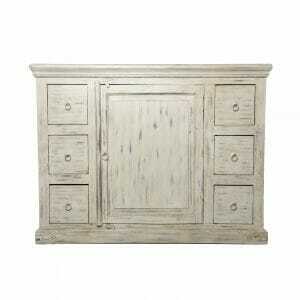 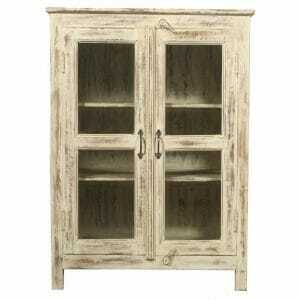 Sea-seasoned wood is extremely tough and durable. 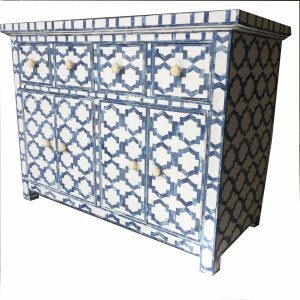 This painted storage trunk is solidly made, with strong woodworking joints and a combination of contemporary and old-school carpentry methods. 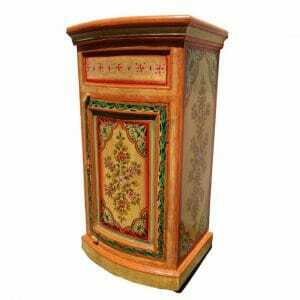 The master craftsmen who create our Indian furniture, fashion wood into painted masterpieces, adorning hard wood with ornate patterns and sacred geometric designs, using the handicraft techniques passed down through countless generations, matured and tempered with academy-taught modern initiatives in woodworking, for intelligent new inventions in furniture design. 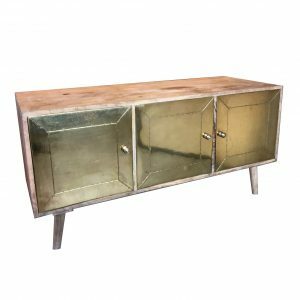 All our materials are sustainably and ethically sourced and we see to this ourselves. 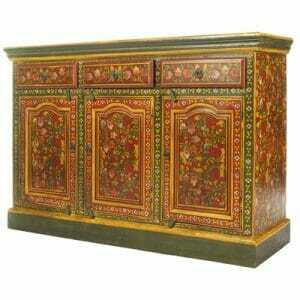 With over 20 years experience in bringing our passion for superior, stunningly created, unique Indian furniture to International shores, we work closely in fair trade arrangements with the master artisans, who are constantly creating unique pieces of Indian hardwood furniture in a process that honours tradition while celebrating invention..
Rajasthan has a long history of venerating skilled craftwork. 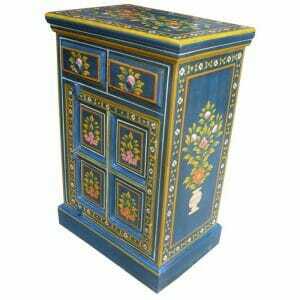 Different handicrafts evolved in different areas, which became renowned for their signature products. 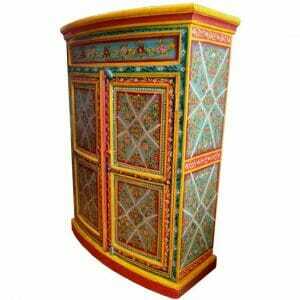 In purchasing a piece of Indian furniture, you become part of the continuing cultural evolution of the extraordinary, stunning and elaborately created Rajasthani arts and crafts. 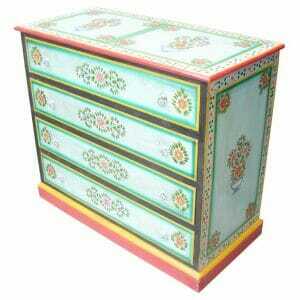 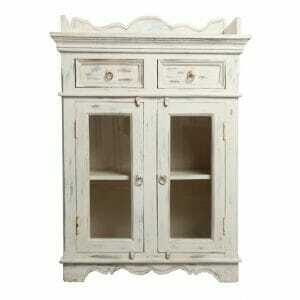 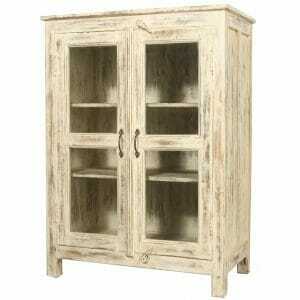 We offer bespoke, hand crafted Indian furniture. 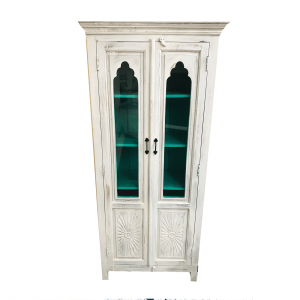 Email or call us with your measurements and the item you would like in the style you have chosen and we can respond directly with a quote and time frame. 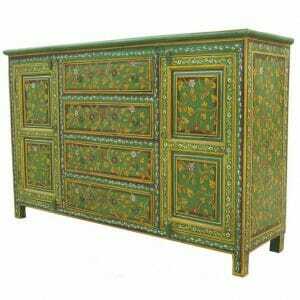 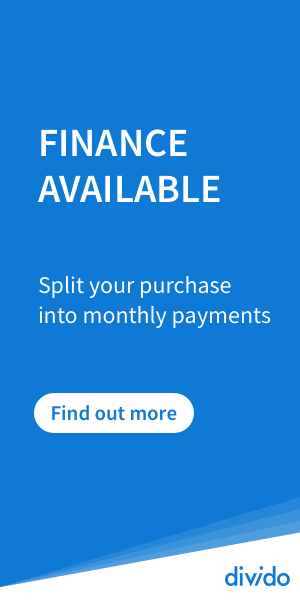 There is no additional charge for bespoke furniture. 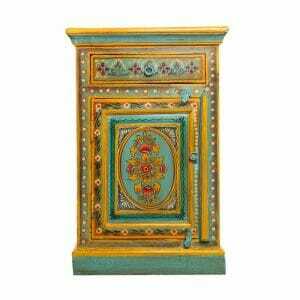 Our artisans create each piece of Indian wood furniture with care and individual attention, so we are asking no more of them than we always do.